This week Jack, Dan, and Shane discuss the epic comeback against WKU, preview Marshall, and talk about the Lane Kiffin rumor mill. Inside the Burrow 2017 Episode 8 - ODU Beatdown & UNT Preview! 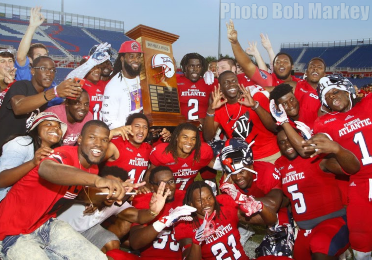 This week Jack, Shane, and Dan discuss the ODU game and look forward to the biggest conference game in FAU stadium history! Go Owls! Inside the Burrow 2017 Episode 7 - The Streak is OVER! This week Dan and Shane are joined by Cyrus from Underdog Dynasty to go over the MTSU game which snapped a nine game losing streak, ODU, and what's going on in C-USA. Go Owls! This week Jack and Shane discuss what went wrong in Buffalo and look forward to breaking the losing streak against MTSU. Go Owls! 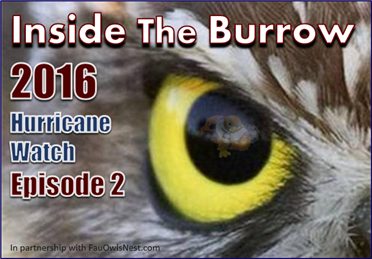 This week everyone returns from Hurricane Irma to talk about our early season impressions of the FAU Football team. We talk about the Navy and Wisconsin games and even talk some about C-USA. Go Owls! This week Dan and Jack discuss Week 1 against Navy! We also go over season expectations and where we see this year's team finishing. Go Owls! Inside the Burrow 2017 Episode 3 - Camp Notes, Roster Moves, & Navy! This week Jack and Dan are joined by Shane to discuss the latest camp notes, some roster moves and the Navy match up. They also review the latest Fan poll. Go Owls! Inside the Burrow 2017 Episode 1 - Spring Ball! Welcome to the Spring 2017 edition of Inside the Burrow! This week the guys go over the big changes that happened this Fall and Spring. This week Jack, Dan and Aaron go over what went wrong against Ball St. They also discuss a new weekly poll. Finally, the guys are joined by Robert, an FIU fan that came to talk about what's going on in Golden Panther Land. This week Jack and Dan discuss what happened during the Miami and Kansas St. games and look ahead to Ball State. They also discuss one of the recent topics on the forum - Regression. Inside the Burrow 2016 Episode I - Opening Day vs The Salukis! Welcome back to another season of FAU Football and Inside The Burrow! This week the guys discuss the upcoming year and look into week one opponent Southern Illinois University! Inside the Burrow 2015 Episode XI - Gator wrap, & Old Dominion! Inside the Burrow 2015 Episode X - WKU Wrap, Recruiting, & MTSU! In this week's episode the guys discuss the WKU loss, what to look forward to this weekend against MTSU and some recruiting news! This week the guys gather to talk about the big FIU win, what our chances are at WKU, and the announced $5 million gift for the new athletic center! Inside The Burrow's Dan and Jack give their on location thoughts on FAU's Halloween victory over FIU in Shula Bowl XIV.